iambassador is a multiple award-winning influencer marketing network. 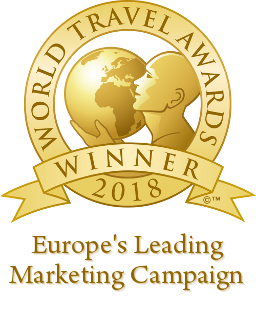 In June 2018, iambassador won the World Travel Award for Europe’s Leading Marketing Campaign for the second year in a row. The ‘24 Hours in the UK‘ campaign, a partnership with VisitBritain, was voted by industry peers worldwide as the winner. This prestigious award was presented at a glittering ceremony in Athens. In September 2017, iambassador won the World Travel Award for Europe’s Leading Marketing Campaign for the first time. The ground-breaking ‘EuroFoodTrip‘ campaign, a partnership with Emilia Romagna Tourism and Costa Brava Tourism, picked up the award and was featured at a spectacular ceremony in St. Petersburg, Russia. In May 2017, iambassador, together with its esteemed partner, VisitBritain, won the PR Week Global Award 2017 in the the Best Global Partnership category for their collaboration to produce the Social Travel Summit Inverness 2016. The Social Travel Summit is an annual conference that brings together leading travel influencers and tourism marketing executives from around the world for two days of learning, networking and brainstorming. 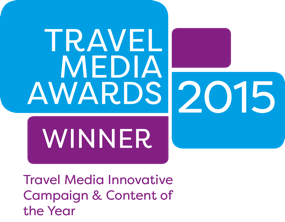 In November 2015, iambassador won the Travel Media Innovative Campaign and Content of the Year Award for the ‘LoveSabah‘ campaign at the annual Travel Media Awards in London. This innovative campaign was a joint production with Royal Brunei Airlines, Sabah Tourism and Good Relations PR.